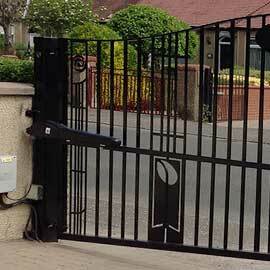 We supply a wide range of Iron Gates, Electric Gates and Automatic Gates to both residential and commercial properties throughout Glasgow, Edinburgh and Central Scotland. Blacksmiths and metal workers in Glasgow with 40 years experience creating decorative metalwork, cast iron, railings, stair railings and wrought ironwork. 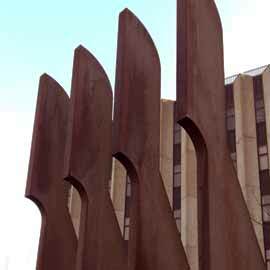 Abbey Metals offer a bespoke service for all your COR-TEN and weathering steel needs, our specialist metalworkers can bring your project ideas to life. 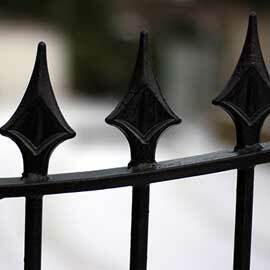 Looking for Iron Gates, Electric Gates and Automatic Gates in Glasgow, Edinburgh and throughout Central Scotland. 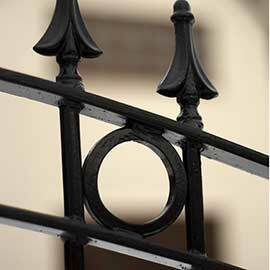 We supply a wide range of gates and accessories to both Residential and Commercial properties including Railings, Decorative Metalwork, Cast Iron and Wrought Ironwork. 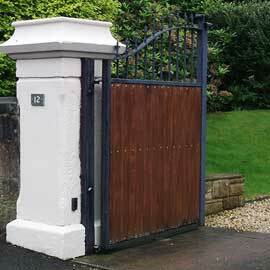 Visit Abbey Gates - Perfect For Security With Style in Lanarkshire, Lothian, Ayrshire, Inverclyde & Renfrewshire. 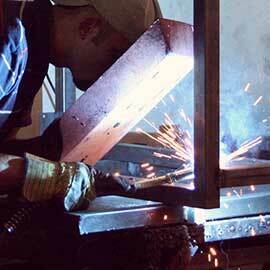 At Abbey Gates, all our driveway gates are made with wrought iron to ensure lasting quality. 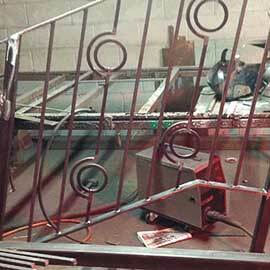 We supply metal gates, garden gates, electric gates, automatic & automated gates and security gates. We supply wood and timber gates, railings and fences in addition to driveway gates in Glasgow, Edinburgh and throughout Central Scotland. Our gate and fencing was fitted in no time and exactly to our requirements. We now have lovely gates and railings as well as feeling more safe and secure. We looked around for a while and then found you guys. I'm glad we did. Our driveway looks amazing and the gates are faultless. Having driveway gates and railings installed in your home or commercial property is one of the best ways to secure and style your home or commercial premises. All our driveway gates and railings are made with wrought iron to ensure lasting quality and all our work is guaranteed for 5 years.